In 2018, China’s LPG market performed well. Meanwhile, China’s average LPG price went up, as the international crude oil prices obviously increased and the propane and butane CP rose to some extent. By the end of August, the national average LPG price increased by 17% Y-O-Y. Moreover, the annual low LPG prices had appeared in the market, and the demand for LPG was relatively strong in the off-season. In terms of the related policies, as the governments devoted themselves to implementing the transition with traditional drivers being replaced by new ones, the progress of refining-chemical integration at independent refineries sped up. In 2018, the competition between state-owned refineries and independent refineries became severer. The newly added large-scale refining-chemical projects at private enterprises such as Dalian Hengli Petrochemical and Shenghong Petrochemical Group hit the state-owned refineries. Besides, benefiting from the crude oil import right and crude oil use right delegated by the government, some independent refineries improved their market competitiveness. In terms of the supply-demand fundamentals, China’s LPG supply kept rising in 2018. However, as state-owned refineries competitively built alkylation units, the merchantable LPG volume obviously declined. Influenced by the popularization of natural gas, the market proportion of civil-use gas continued to drop, and the profits at civil-use gas filling stations underperformed accordingly. The components of civil-use gas were applied to LPG deep-processing industries, thus the alkane deep-processing industries gradually improved in 2018. In 2019, it will be normal that the demand for LPG from the civil-use gas market will continue to decline. With economic development and technological innovation, market participants will pay close attention to dig the added value of LPG and extend the industrial chain. At present, the developments of olefin industries are relatively mature, and the detailed applications of alkanes need to be further enhanced. In 2019, with the domestic oil refining capacity increasing, is there still an increase in the domestic LPG supply? The upgrading of oil product quality is accelerating, and there will be business opportunities in China’s alkylated oil industry accordingly. How will the huge gap in olefin feedstock gas be compensated? Under the immature alkane industry, how will the domestic enterprises break through various bottlenecks? With the gradual developments of China’s import trade system and deep-processing industries, will China’s LPG import volume continue to climb? In the fiercely competitive market, the influencing factors of the domestic LPG market are more complex and changeable, and there will be great opportunities and challenges in the supply-demand pattern. 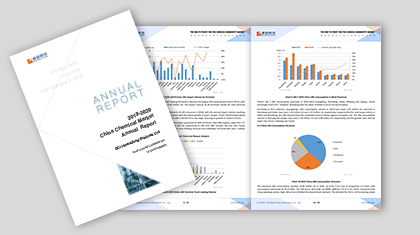 Based on SCI’s detailed and objective market monitoring data and study results, this report brings comprehensive industrial chain knowledge and information of China’s LPG industry and market, including the past and the future. From perspectives of the supply, demand, margin, outlook, etc., this report offers authentic market information and scientific decision-making foundation for strategic investors and company leaders. 1 This report provides the latest and most comprehensive industrial data, and market participants can comprehend the current and future developments of China’s LPG market. 2 This report presents the capacity, output, operating rate and other related data of LPG deep-processing unit, and market participants will be clear about the profits of units via product values. 3 This reports analyzes the driving factors of price change from multiple angles and forecasts the future development. 4 This report analyzes the upstream and downstream demand and the future unit distribution, and market participants can comprehend the value distribution and variation trend of the industrial chain.